Today the media reported a story about high levels of salt in some meat-free products which may have caused consumers concern. 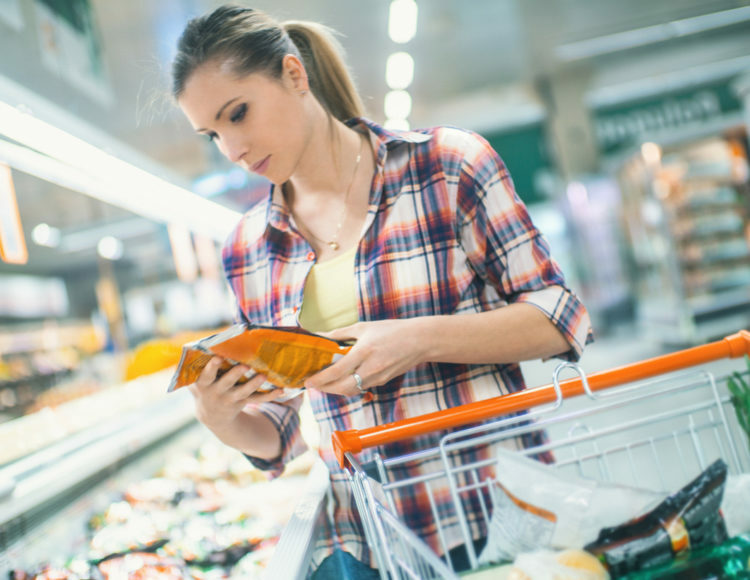 More than 150 meat-free products were checked and over a quarter contained high salt levels. Everyone needs to eat a balanced diet and should consider healthy eating guidelines. The recommended daily limit for salt intake for adults is 6g per day. People need to consider the nutrition across all the foods they eat daily. According to the report, eating two of the saltiest meat-free sausages at one meal would mean you would consume 2.2g of salt, leaving a maximum of 3.8g for the rest of the day. In our busy lives we are all looking for a balance between healthy eating and having something quick and easy to cook. Lynne Elliot, Chief Executive at the Vegetarian Society said: “Like many vegetarians, vegans and flexitarians, we welcome the growth and choice in meat-free product ranges. These products can be helpful for people wanting to reduce the amount of meat they eat, or move towards a meat-free diet. “Our advice would be to follow healthy eating guidelines and consider your salt intake through the day. Cooking from scratch when possible and not just eating processed foods, ready meals or take-aways is a good idea. This doesn’t mean you need to cut all these things out – you can still eat them as part of a balanced diet as long as you consider what you are eating. 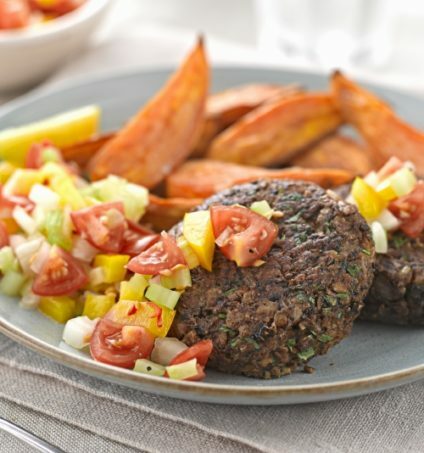 To get you started, here is a healthy and delicious mushroom, walnut and lentil burger recipe served with sweet potato wedges and crunchy salsa – totalling only 0.7g of salt per serving.